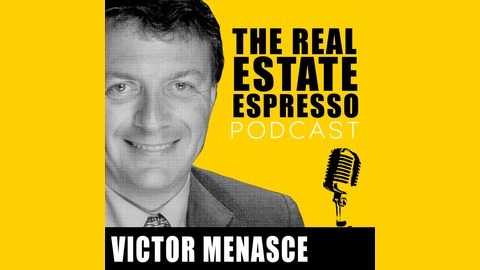 Your morning shot of what's new in the world of real estate investing. 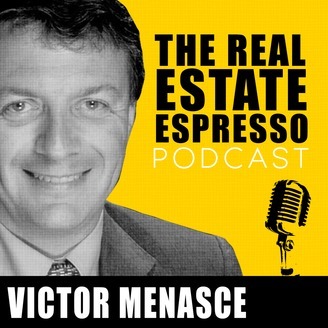 Daily real estate investment outlook from investor, syndicator, developer and author Victor J. Menasce. Weekday shows are 5 minutes of high energy, high impact awesomeness. The weekend edition consists of interview with notable guests including Robert Kiyosaki, Robert Helms, Chris Martenson, George Ross, Ed Griffin, Dr. Doug Duncan, and many more. Last week I was in Toronto and my meeting was right downtown. Hotels were incredibly expensive, and the hotel where my meeting was being held was advertising rooms for $600 per night. So rather than stay near the airport and fighting rush hour traffic, I decided to look at short term rentals. I came across a listing for a penthouse apartment that was only two blocks from my meeting in the downtown. Better still, it was only $78 per night. The chances of finding a comparable hotel offer were pretty slim. So I jumped on it and seconds later I had a firm reservation. When I received the information about the accommodations, there were very strict instructions to enter the building only through the parking garage, and not to interact with the building’s concierge staff. Under no circumstances should I mention Air BnB. The key was located in the laneway behind the building in a lock box. The instructions for locating the key were pretty clear. There was nothing saying explicitly that I was in a prohibited short term rental. But I suspect that I was. I am an owner of short term rentals. I do this as a business. So staying in another short term rental was interesting from the perspective of someone who is in the business. This particular unit did not live up to the standards of what we provide our guests. The unit was clean and everything was in working order. I have no complaints. But the apartment was minimally furnished. The quality of the furniture was minimal. The apartment had not been painted since construction and had the original builder’s white paint on the walls. There were no decorations or art work. It looked very bare. Definitely not the kind of product we would offer our guests. But the location was amazing and the price was right. Short term rentals have been controversial in many cities. In Toronto, there are new rules that govern short term rentals. But the city has said they’re not going to enforce them until late into 2019, and only after the next consultation hearing which is scheduled for August. The owners who claim a right to rent to whoever they want often do not realize that they are not just renting out their unit. They are, in effect, renting out the common elements and all of the shared facilities. The other occupants now have to share the lobby, pool, sauna and gym with strangers and have to deal with increased traffic in their garage. The guests are not informed of the condominium rules and by-laws, and they often impose an additional burden on the rest of the building residents. They are less invested and less concerned about the security and comfort of the rest of the occupants. After all, they view your home as a hotel. One building in Toronto sends a legal letter to owners who violate the rules of the condominium corporation. According to the bylaws of that building, the condo board has the right to charge the owner for the legal cost of preparing each letter. This can amount to $500 - $600 per letter. Some home owners simply choose to pay for the cost of the letter and keep doing what they’re doing. All of my short term rentals are zoned for short term rentals. They are in buildings that embrace short term rentals, and they fully comply with all the rules for short term rentals. There’s no grey zone, no bending of the rules, and no breaking of the rules. If you’re going to be in business on a sustained basis and you’re truly a professional, how could you imagine to do anything otherwise?